St. Cloud, MN – The St. Cloud Rox Baseball Club announced Monday that it has made an addition to the organization’s front office. The Rox have hired Mitchell Hansen, who will join the defending Northwoods League Champions as the Director of Content Marketing and Media Relations. “We are excited to have Mitchell join our front office team. We are all about Rox Solid Fun at the park and he will help tell that story through many channels. He’s a terrific addition going forward,” said co-owner and vice president Scott Schreiner. Hansen joins the Rox front office after spending over a year as the Web Editorial Associate with the Minnesota Timberwolves and Lynx and four years in the sports department at the St. Cloud Times. A native of Cold Spring, Minnesota, Hansen earned his bachelor’s degree from St. Cloud State University in Recreation and Sport Management and Mass Communications. Hansen, a 2013 graduate of Rocori High School, will oversee all digital content and will be in charge of handling media relations for the organization, among other duties. 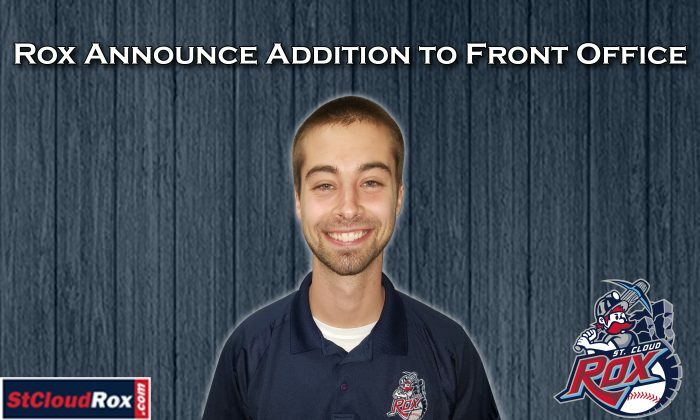 To reach Hansen, you can email him at Mitchell@stcloudrox.com or call 320-240-9798. The Rox will open their 7th season of Northwoods League baseball in 2018. The home opener at Joe Faber Field is scheduled for Friday, June 1st at 7:05 p.m. against the Mankato MoonDogs. The home opener, presented by Coborn’s, will feature post-game fireworks. Full and Partial Season ticket packages for the 2018 season are currently on sale. For more information regarding this release please contact the Rox front office at (320) 240-9798 or visit www.stcloudrox.com. The St. 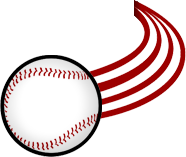 Cloud Rox are a member of the finest developmental league for elite college baseball players, the Northwoods League. Entering its 25th anniversary season, the Northwoods League is the largest organized baseball league in the world with 20 teams, drawing significantly more fans, in a friendly ballpark experience, than any league of its kind. A valuable training ground for coaches, umpires and front office staff, more than 185 former Northwoods League players have advanced to Major League Baseball, including three-time Cy Young Award winner Max Scherzer (WAS), two-time World Series Champions Ben Zobrist (CHC) and Brandon Crawford (SFG) and MLB All-Stars Chris Sale (BOS), Jordan Zimmermann (DET) and Curtis Granderson (TOR). All league games are viewable live via the Northwoods League portal. For more information, visit www.stcloudrox.com or download the new Northwoods League Mobile App on the Apple App Store or on Google Play and set the Rox as your favorite team.